One of the country’s leading chefs, cookbook author and “farm-to-table” pioneer, James Walt continues to inspire his guests, creating compelling regional cuisine based on local, sustainable ingredients. A graduate of the Stratford Chefs School, his impressive culinary career spans across several of British Columbia’s leading restaurants including a four-year tenure at Sooke Harbour House and as opening chef to sister restaurant Blue Water Cafe in Vancouver. James was also Executive Chef to the Canadian Embassy in Rome, Italy; an experience that helped shape the way he cooks today. James now takes the reins at the reimagined Il Caminetto as Executive Chef to bring a modern interpretation of Italian classics to the mountainside resort. 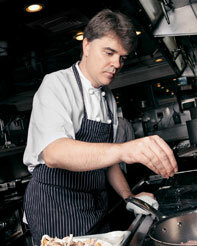 James is Whistler’s only chef to cook at the celebrated James Beard House in New York City where he has performed on four separate occasions. He has been voted best chef in Whistler by Pique Newsmagazine and was inducted into the British Columbia Restaurant Association Hall of Fame in 2011. As a follow-up to his James Beard–nominated first cookbook, James and his team share recipes from Araxi Restaurant’s dining room and signature Araxi Longtable Dinner events, all adapted for delicious home cooking in Araxi: Roots to Shoots, Farm Fresh Recipes. James’ new book – containing 80 classic recipes complemented by striking photography – is available at Araxi Restaurant and fine book retailers. Recent 2018 accolades for Araxi include Where Magazine’s Best Formal Whistler Restaurant, Georgia Straight Golden Plate Awards' Best Whistler Restaurant, and 100 Best Restaurants in Canada. James lives in nearby Squamish where he works closely with local farmers and producers and personally selects the freshest ingredients featured on the Araxi menu. 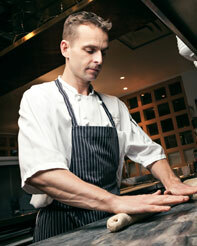 Born in North York, Ontario, Aaron Heath is a graduate of Toronto’s George Brown Culinary College. He first joined the culinary brigade at Araxi in 1996, and attributes his love of food to the backyard garden of his childhood home. Today, Aaron is inspired by smaller scale, artisanal baking – and modernizing traditional recipes. Aaron’s seasonal dessert menu showcases local orchard fruits and berries, as well as a premium chocolates and house-baked breads. Glasgow-born Neil Henderson’s first taste of Whistler came in the summer of 1992, having graduated from Edinburgh with a business degree, and following several years of experience throughout the United States, New Zealand and various European ski resorts. Neil obtained his Higher Certificate from the Wines & Spirits Education Trust in 2001, and followed this with a full Sommelier accreditation from the International Sommelier Guild in 2004. 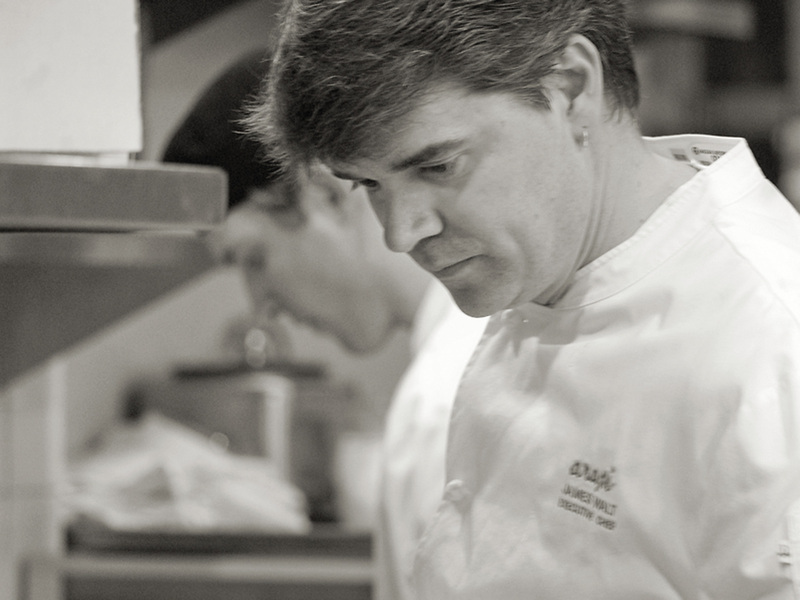 Neil was promoted to Restaurant Director in 1999, the same year Araxi was first named “Best Whistler Restaurant” at the Vancouver Magazine Awards. In 2012, Neil was awarded the “Premier Crew Service Award” by Vancouver Magazine. 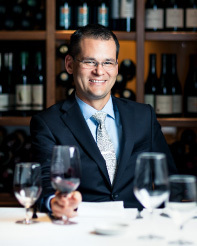 After over 20 years in the hospitality industry including the past 9 years at Araxi, Vancouver born Jason Kawaguchi oversees the 1000+ labels that have made Araxi a Wine Spectator Best of Award of Excellence winner since 2000. Continuing studies under WSET and the Court of Master Sommeliers, as well as travelling through Italy’s storied wine regions of Tuscany, Piedmont, and Veneto, have deepened. Jason’s understanding of terroir from both a food and wine perspective. From his grandparents' farm in Vernon, Jason learned the value of the land. "They grew just about everything. From them I discovered the hard work involved in creating a meal from start to finish," Jason says. "Their ethos drives my passion for learning the story behind the wine and sharing that story with guests so they can enjoy a complete experience." Following several positions in the service industry, Christopher moved to Whistler in 2015 “with the intention to snowboard for a season.” He took a position in Araxi’s back bar and “all of a sudden I was hooked,” he says. “I started studying cocktails and attending Araxi’s weekly wine seminars.” Christopher is currently working his way through his Wine + Spirit Education Trust Level 3 qualification, and still manages to spend free moments carving the slopes on his snowboard. 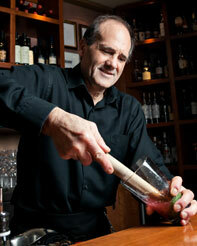 Since 2001, Rene has welcomed both an international and local clientele to The Bar at Araxi. The Bar offers Araxi’s full wine list, martinis made from fresh produce, and a broad selection of single malt scotch and bourbons. 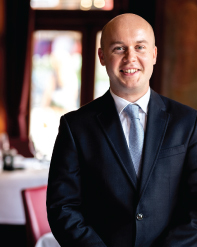 Rene began his hospitality career at hotel school in Zurich, going on to gain practical experience at hotels in Lausanne, Zermatt and Villars. 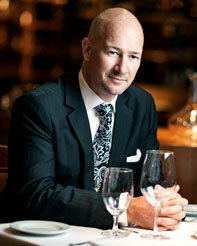 Before moving to Whistler, Rene held management positions at restaurants throughout Calgary, Vancouver, and Australia.